“Eating clean” doesn’t necessarily mean missing out on taste and flavor, and plant proteins can very often pack more of a flavor punch than meaty ones. 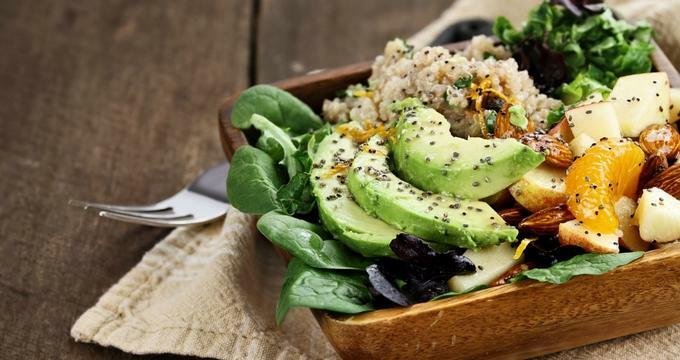 Vegetarianism and its more principled older sister veganism tend to draw hard and fast feeders who have been eating clean for years, and Boston is home to an array of plant-protein based eateries. If one of the most famous and finicky vegetarians of all time (Thoreau) can call Boston home, then there simply must be somewhere to get your meatless mangia on. 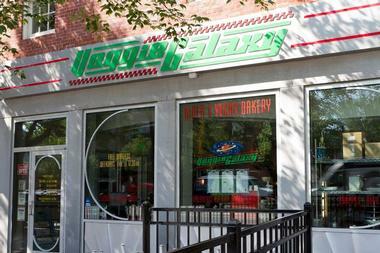 Veggie Galaxy is a made-from-scratch vegetarian diner that serves a menu of vegetarian and vegan fare. Open for breakfast, lunch, and dinner, Veggie Galaxy presents a menu featuring dishes like eggs Benedict and syrupy pancakes, corned beef seitan hash, and vegan gravy poutine. Lunch and dinner treats include meatless specialties such as BLTs, quinoa shepherd's pie, and seasonal vegetable entrées. The onsite Veggie Galaxy Bakery, 100% vegan, makes cakes, pies, muffins and takes orders for special occasions. Vegan doughnuts are offered on weekends and for some special occasions. Beverages include hot and cold drinks, floats and sodas, vegan frappes, and iced teas. There is also a fun bar menu of vegan cocktails, vegan boozy frappes, wines (some vegan) and vegan New England craft beers. Freshii is a health-conscious counter-serve chain that serves freshly prepared, made-to-order salads and soups, burritos, sandwiches and selection of juices. 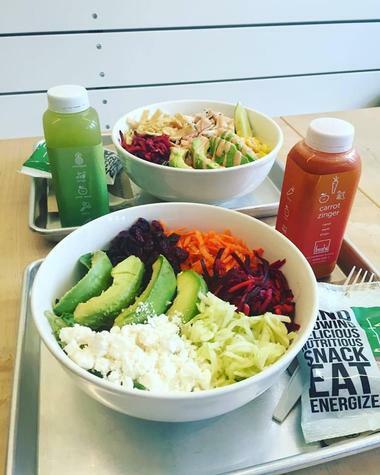 Freshii serves breakfast, lunch, and dinner, and their menu features a variety of healthy and hearty fate such as bamboo bowls, sandwiches and wraps, fresh soups, burritos, smoothies, and cold-pressed juices. Signature dishes include Bamboo bowls of brown rice, broccoli, coconut, carrots, cabbage, and cilantro, flavored with a lime wedge and served with a green curry sauce. 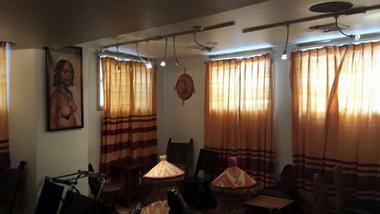 Addis Red Sea Ethiopian Restaurant is a friendly, cozy spot that serves traditional East African and Ethiopian cuisine in a laid-back and relaxed environment. As you step over the threshold, you will feel as if you are in a different world, surrounded by authentic Ethiopian furnishings, colorful tapestries and rugs, and charming wicker tables. The menu features everything from marinated vegetables and exotic chicken to rich lamb entrées served with traditional injera (Ethiopian flatbread). Be prepared to dine without utensils in true Ethiopian style, and don’t miss out on trying their honey wine, which has a distinct flavor of its own. Cocobeet is a petite grab 'n' go spot that serves organic, cold-pressed juices, superfood smoothies, raw vegan fare, and freshly made vegan salads. 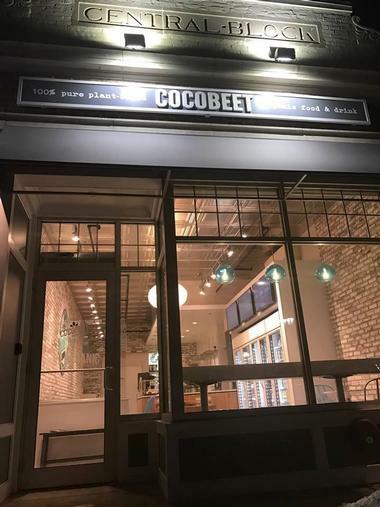 One of the city’s original organic juice bars, Cocobeet prides itself on serving only the freshest fare made with natural, locally sourced ingredients that are organic, raw, vegan, gluten-free, non-GMO, and non-HPP. Juices are cold-pressed and unprocessed, and delicious, healthy vegetarian and vegan dishes are crafted on-site every day and offered in a grab-and-go format. Cocobeet offers more than 30 cold-pressed organic juices and smoothies and an extensive range of vegan and gluten-free options for breakfast, lunch, dinner, and snacks. 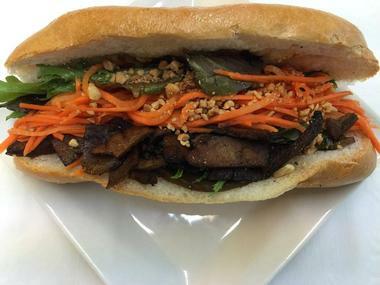 Cuong's Vegan Sandwiches is a casual vegan eatery that serves sandwiches, bubble tea, salads, and desserts for lunch and dinner. Owned by the same folk that runs My Thai Vegan Café, Cuong's Vegan Sandwiches serves an array of sandwiches, including green, red, and massaman curry and a barbecue and deep-fried tofu sandwich. Other culinary delights range from papaya and mango salads, spring rolls, and freshly prepared soup to three types of cakes and sweet rice desserts. Bread buns can be substituted for steamed jasmine rice or vermicelli and vegetables. Working off its founding principle of “food is medicine” La Sanghita Café serves a delicious menu of vegetarian and vegan fare prepared with fresh, locally sourced, organic ingredients and made to order. 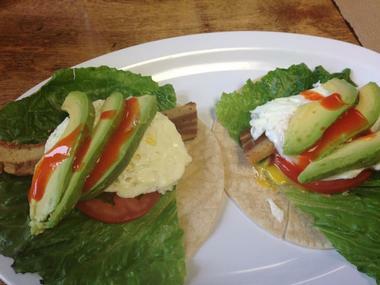 They offer a vegetarian breakfast and lunch menu loaded with nutritionally rich dishes such as veggies burgers, miso soup, pear-coconut-ginger fritters, tostones, and fresh superfood smoothies. In addition to serving delicious food and drinks, La Sanghita Café also adds book clubs, health nights, networking events, and cooking classes to its menu. 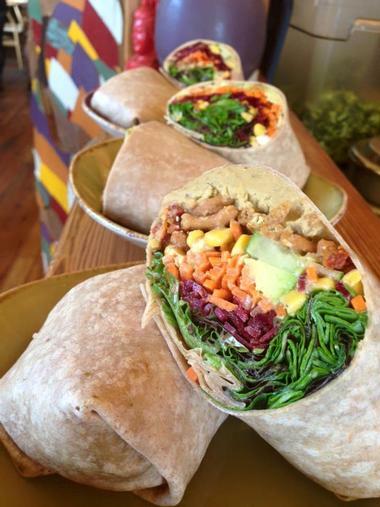 Life Alive Urban Oasis and Organic Café is a friendly, trendy, quick-serve spot that serves fresh organic unprocessed vegetarian and vegan wraps, sandwiches, freshly prepared salads, and superfood smoothies. In addition to sumptuous cuisine and cold-pressed juices, Life Alive Urban Oasis and Organic Café sells all natural products, hosts experiential educational workshops, and offers live music and art shows featuring local artists and musicians. All food is prepared fresh and made to order, dine-in or take out fare is on offer, and catering is available on request. 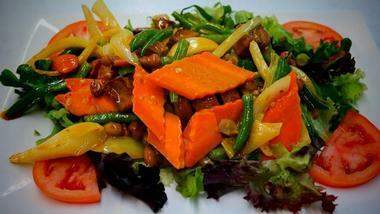 My Thai Vegan Café is a casual Chinatown spot that serves mouthwatering Thai dishes prepared with locally sourced, organic meatless ingredients. The popular restaurant offers an extensive vegetarian and vegan menu that features classic Thai dishes such as pad Thai and pineapple fried rice and steamed dumplings to bolder dishes like a green-chili gaeng kiow wahn curry mixed with assorted veggies and ginger tofu served with bamboo shoot strips, scallions, fresh ginger, and red bell peppers. Located on the second floor, this relaxed diner also offers a variety of sweet and sour desserts, bubble teas, and Vietnamese coffee. Piperi Mediterranean Grill is an assembly line-style eatery that serves tailor-made Mediterranean plates to-go or to enjoy in the relaxed, no-frills eatery. Inspired by the rich and spicy cuisine from India’s southern coastal state of Kerala, Piperi’s cuisine is freshly prepared using locally sourced, organic ingredients and local and imported herbs and spices. All dishes feature delicious vegetables and legumes, which are roasted or baked at the last minute to preserve their nutrients and keep their flavors vibrant. Only the purest olive oil is used for cooking and dressing, and an artful use of herbs and spices adds a special touch. Founded in 2007, sweetgreen is a casual dining destination for simple, seasonal, healthy food. 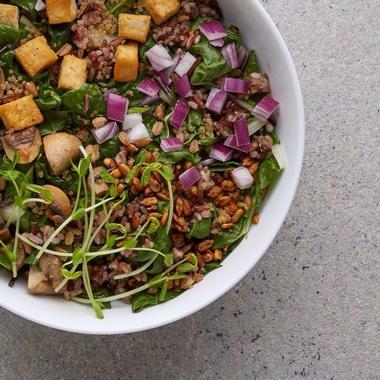 Using only the freshest ingredients that have been locally sourced and skillfully prepared, sweetgreen offers a menu of healthy salads and grain bowls made in-house from scratch using whole produce delivered that morning. 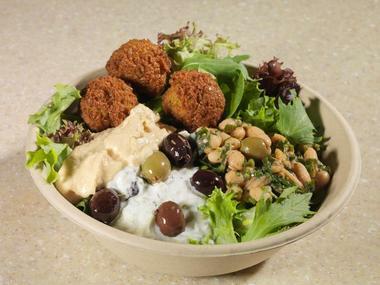 Signature dishes include the Toro Bowl, featuring warm quinoa, shredded kale, warm chickpeas, and freshly squeezed lemon juice, and the Spring Caesar with organic arugula, asparagus, chopped romaine, hard-boiled egg, and za'atar breadcrumbs. sweetgreen stores can be found across the country, with no less than ten eateries in Boston serving delicious fare throughout the day.